Also in the Paralympics ceremony a dress made using a 3D printer was brought to my attention. 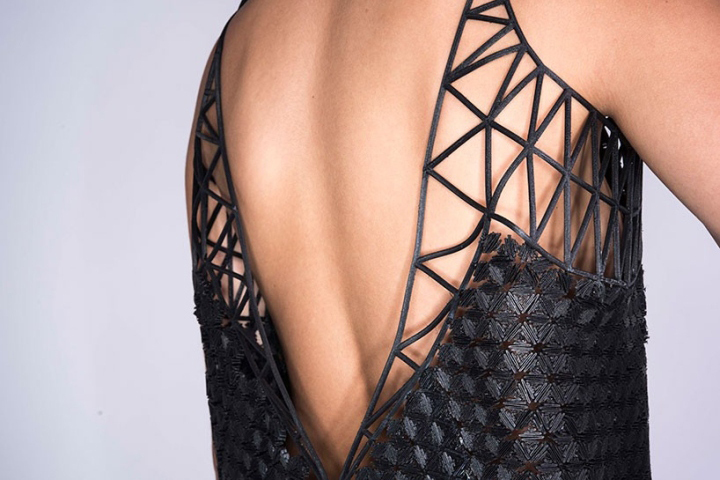 This is the first time I have heard of 3D printing in clothing. And I am still not sure how I feel about it. Does it defeat the craft of fashion? Is it cheating? What does the material feel like? How effective does it print? So many questions. Mainly biasdley against. Maybe I am a traditionalist. Amy Prudy danced away with some crane like robot! Which was creative yet disturbing at the same time. I can’t help but fear that technology will take over the world! I have always swayed towards the ‘natural’ side. The rapid progression of technology can sometimes make me feal uneasy. On the other hand, the progress of technology has allowed Amy to dance ‘beautifully’ despite not having legs. Lets not leave out the creative side of the performance that expresses the co-existence of humans and technology. The dress however did look beautiful. It was created by Israeli designer Danit Peleg, who is already known in the fashion world for her 3D Prints. I guess with this one it doesn’t matter what any fashionista may think. This one is down to the consumer!